Megan Shanley Warren is on a mission, to promote the funky little fruit her dad is harvesting on his California ranch. From the outside, the finger lime needs all the help Warren, a marketing grad, can muster. The leathery green or brown cylinder, 1 to 3 inches long, resemble skinny dill pickles. Cut one open and give it a squeeze, however, and hundreds of firm, glistening pearls pop out, ready to burst in your mouth with fresh lemon-lime flavour and top seafood, sushi, salads, cocktails and desserts. James Shanley learned about the micro citrus — discovered growing wild in Australia’s rainforest — at a University of California seminar in 2005. He became one of the first U.S. growers to test-drive the fruit, and invited his daughter to come home and help him market the crop. With 13 acres in the ground and more thorny, bushy trees maturing every year, the family now has enough finger limes to supply supermarkets as well as chefs and high-end grocers. Not an easy job, as Warren has discovered. Retailers won’t carry finger limes until consumers ask for them, she says, and chefs and yogurt companies are excited but have no interest in squeezing out the pulp, so a machine is being developed to do the job for them. At the moment, her best Toronto customer is Mexican restaurant Fonda Lola, which brings in the limes regularly by Fed-Ex for its signature margarita. “It’s a two- to three-day trip, and they can keep them in the fridge for a few weeks,” says Warren. 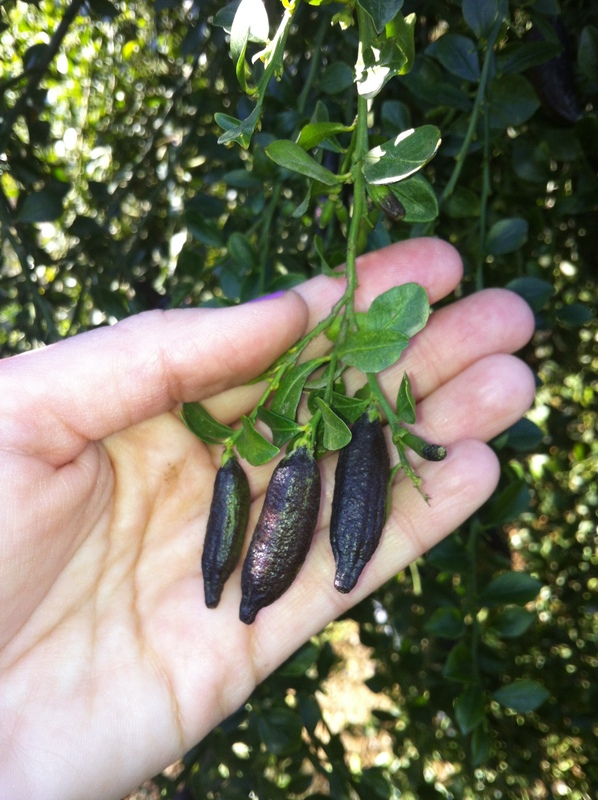 Local grocers and wholesalers have imported Australian finger limes with varying success. “They’re popular in restaurants but haven’t really taken off at retail,” says Mimmo Franzone, Longo’s director of produce, adding they’re now being grown in Mexico as well. Dan Tukendorf, Loblaw’s senior category manager for citrus, is expecting the year’s first California finger limes in the next few weeks. Tukendorf says select Loblaw stores in the GTA will carry a 3-ounce (100-gram) package of four to six fingers from Melissa’s Produce, which buys from several growers including Shanley Farms. Though each package will cost $10 to $12, the flavour is so intense you’ll only need a few tangy, sparkly pearls of lime caviar to garnish a dish. Finger lime pearls come in a wide range of colours, from light green and champagne to vibrant pink, but they all taste the same and come from the same variety. Warren says the colour depends on climate and soil, and you never know what you’ll get until you cut one open. “If we could grow all pink, we would,” she says. 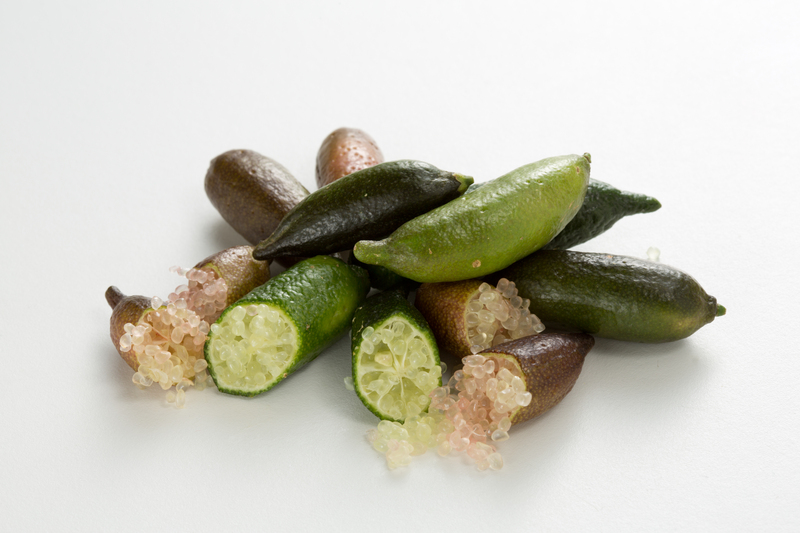 California’s finger lime season ramps up in August and runs until late December, though supplies may be limited by then. The skin may be lime green, brown or purple, depending on the weather. It should look smooth and fresh. Keep refrigerated and use within two weeks. Cut in half crosswise and squeeze out the citrus pearls. Add to hot dishes just before serving to maintain the flavour burst. Sprinkle over cooked salmon, pan-seared scallops and shrimp. Top sushi, or stir into raw ceviche. Mix in salad dressings or sprinkle over plated salads. Garnish a cocktail, or add to a gin and tonic. Add to sparkling wine and watch the pearls move up and down with the bubbles. Garnish lemon or lime desserts. This easy, elegant recipe, adapted from Shanley Farms, uses a classic French technique to steam the fish. Cut four large pieces of parchment paper (about 15×16 inches) and fold in half to create a sharp crease. Lay out flat on counter. Mound some bok choy in middle of each sheet near the crease. Top with some of the shallots, butter and dill. Season with a little salt and pepper. Place salmon on top and season again with salt and pepper. Take first sheet and close parchment evenly over salmon. Starting at one end, form a half-moon-shaped packet by making small overlapping pleats to seal the edges tightly. Repeat with remaining sheets. Place packages on large baking sheet. 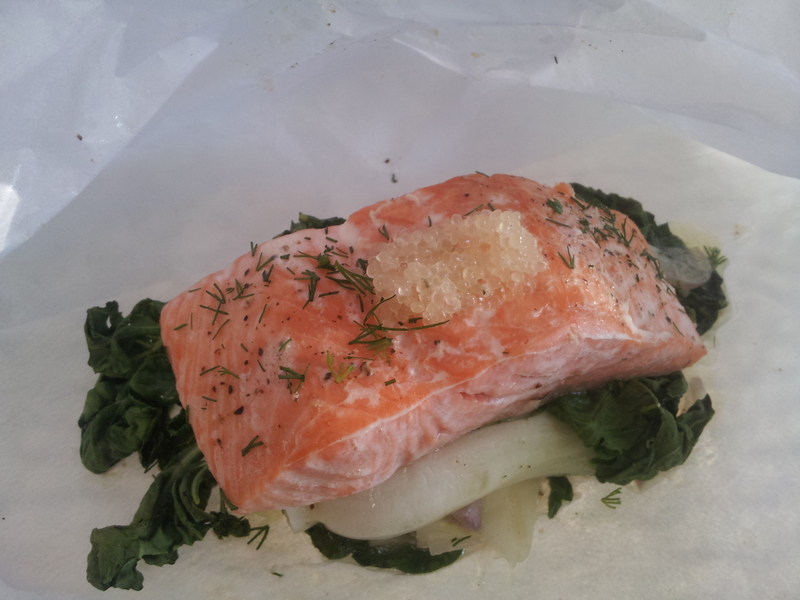 Bake in preheated 350F (180C) oven 12 to 15 minutes, until salmon is opaque throughout. While salmon is cooking, cut finger limes horizontally and squeeze out pearls into a small dish. Open packets, top cooked salmon with citrus pearls or a squirt of lime juice and serve in packet.